Collaborating to deliver a series of specialty reports. 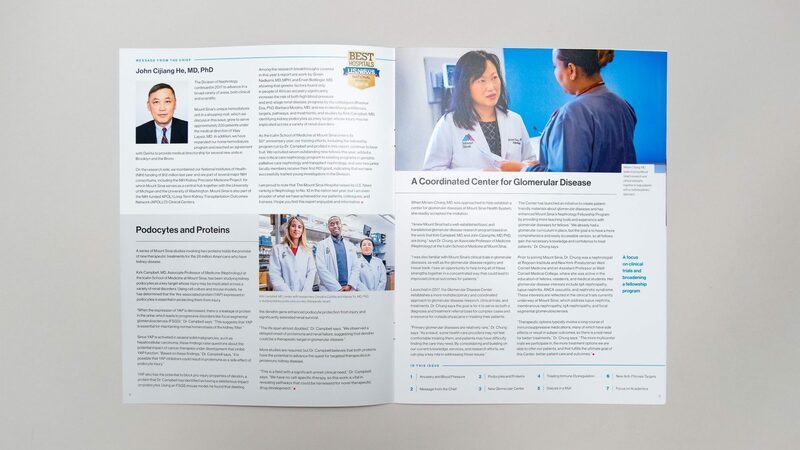 Each winter, Mount Sinai Hospital publishes nine reports showcasing key departmental achievements from the previous year. 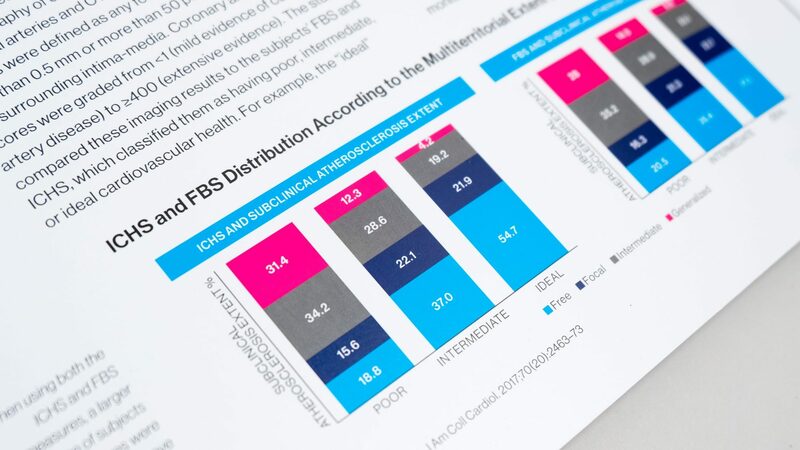 The reports are an essential part of the Hospital’s marketing strategy and are sent to leading medical professionals, including those who participate in the U.S. News & World Report national hospital rankings survey. 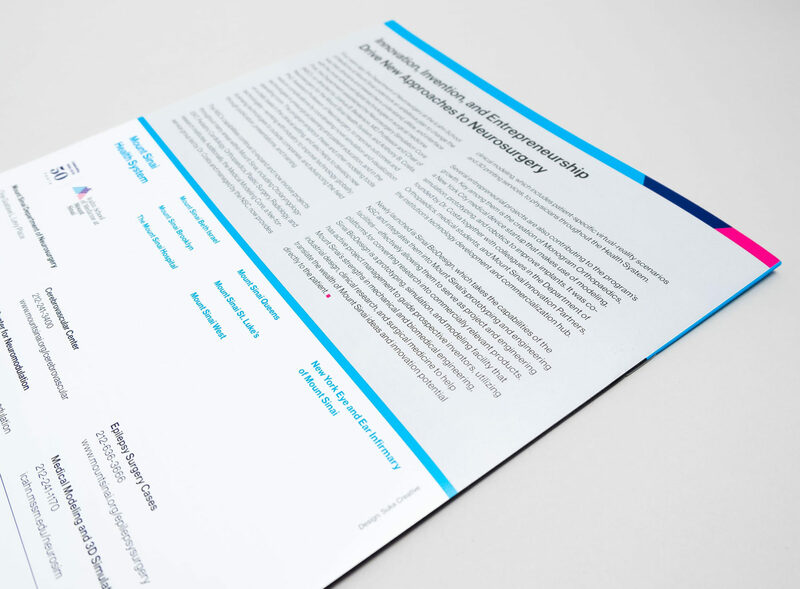 Suka has worked with the Hospital for several years running to design and produce these specialty reports. 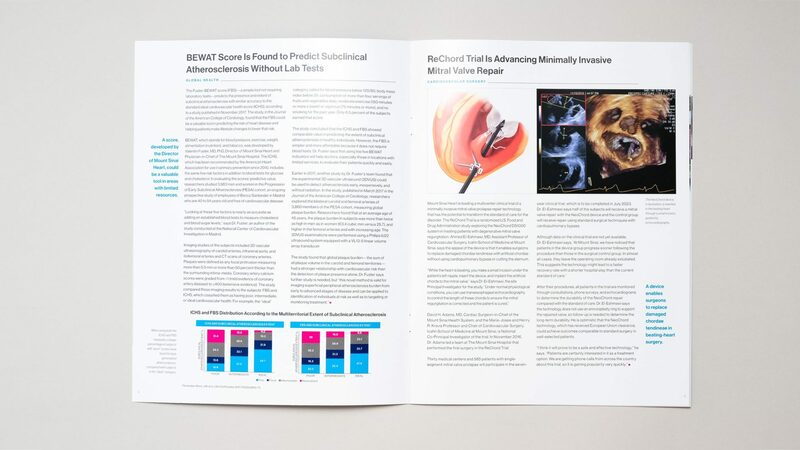 Rich in content, our design solution worked to balance readability with Mount Sinai’s in-depth articles. Suka worked directly with the individual editors for each report to create a well-paced content flow, one that drew in images, tables, and graphics in effective ways. We designed a flexible visual system that could accommodate a variety of assets and used a clean aesthetic style to ensure clarity. Images could be positioned in multiple ways to break up the page and help direct a reader’s attention, serving as a supplement within the copy or leading the article above the headline. This flexibility allowed for layouts that were purpose-built for the content while remaining cohesive across the reports. 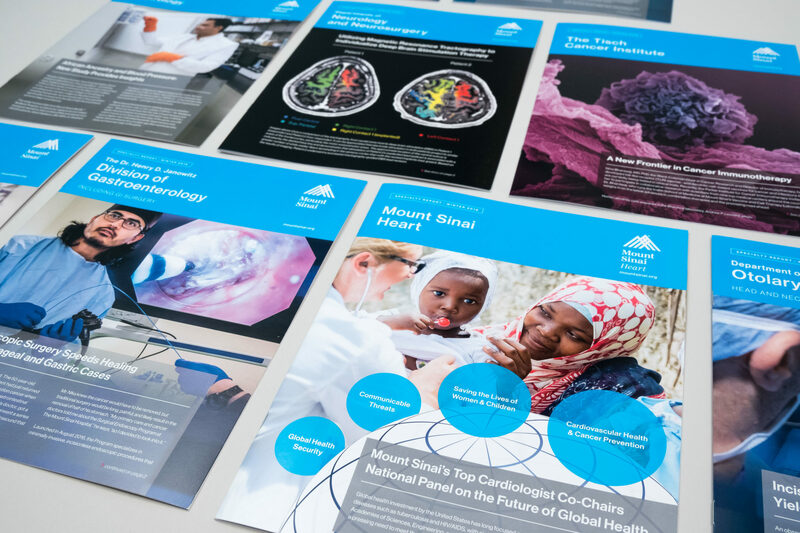 Based on insights gained from previous years, the Suka and Mount Sinai teams collaborated closely to ensure our designs best served the content and the consistent look would hold the reports together as part of a family of publications. We also standardized the cover layouts to further develop this visual coherence. We created a custom graphic treatment that helped us account for a variety of cover images, both in terms of content and dimensions, without need to compromise the design or drastically alter the look and feel. Whether photographs featured patient care, surgical sessions, or medical imagery, the cover treatments ensured that each report made a strong, powerful impression on readers.